Five hundred dollars can go so far, these days. That is why you want to hold unto it as much as possible. But as musicians, we need some of the best tools to help us get better and perfect our craft. 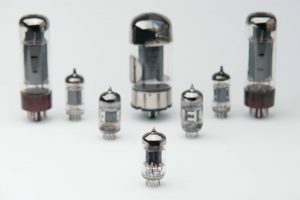 As such, won’t you be glad if you can have the best amps under 500 dollars? 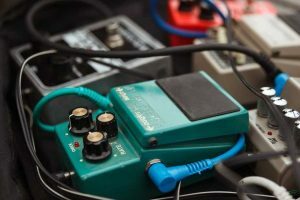 Luckily, there are tons of affordable amplifiers in the market that can assist you when you ace your practice sessions or show-off during small gigs. 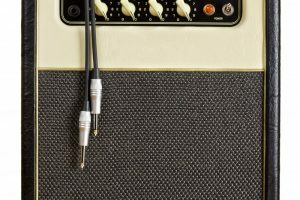 But how do you know which amp should you choose? 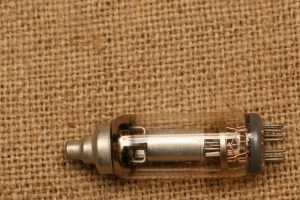 If you have just started playing guitar or a pro looking for a replacement on your amp this article will help you in choosing the right product you need. We reviewed one of the most promising combo amps currently available- the Marshall MG101CFX MG Series 100-Watt 1×12-Inch Guitar Combo Amp . 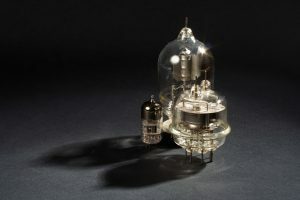 Marshall has gained a reputation as one of the most trusted brands in the music scene. One of its best entry amps is the 100-watt Marshall MG101CFX. This analogue amp has 1×12 combos with four programmable channels, MP3 input, effects and two-way footswitch. This instrument has risen as one of the preferred practice amp of newbie and pros alike because of its analogue tonal heart and solid delivery of digital effects. It also brandishes a carbon fiber look that adds up to its appeal. The Marshall MGC101CFX is also very portable with the following dimensions- 23.2 inches x 20.78 inches x 11.1 inches. Weighing 20 kilograms, it’s easy to carry to your gigs or out-of-house practice sessions. Storable channels include Clean, Crunch, OD1 and OD2. You’ll find these useful especially as you try to play different genres of music. 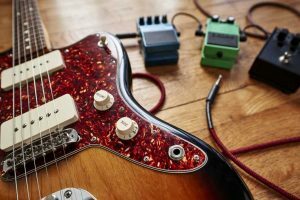 The amp also has some playful digital effects such as Chorus, Flanger, Phaser, Vibe and Octave which can add more color to the piece you are playing. 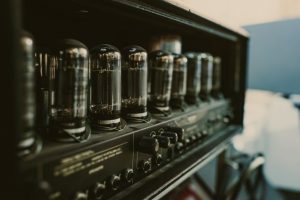 Once you tried this analog unit, you can immediately distinguish that the sound it produces is better than modeling amps that run on lower power rating. 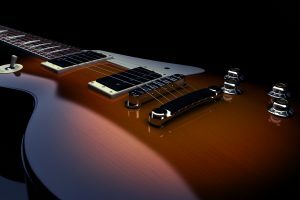 You can easily dial a variety of tones with a turn of a knob and mimic different guitar sounds as well. If you want to further experiment with different sounds you can play with its digital delay that comes in Hi-Fi, Tape, Multi and Reverse. For different sound quality, you can adjust its digital reverb with Spring and Studio settings. The Marshall MG101CFX is also perfect if you want to practice your guitar skills in a quiet setting. You can plug in your headset and listen to your practices, even in the wee hours of the night, without having to wake up the neighboring room. 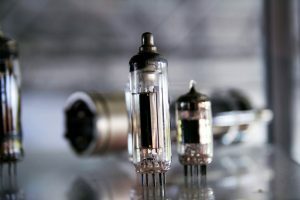 Despite all the positive things we could say about the product, it also has some disadvantages, especially when compared to other below $500 amps in the 100-watt segment. For instance, the OD channels have left us wanting. Both the thOD1 and OD2 have instances of loud buzz sound instead of the more appropriate hiss. 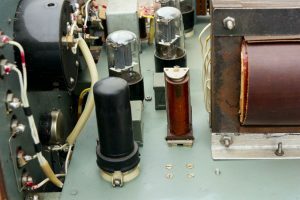 It can be fixed with adjusting the settings and tuning the knobs to their correct volume. However, it can be frustrating for beginners who may encounter this problem. Overall, this amp is great if you are playing in a small venue or practicing on your own room. 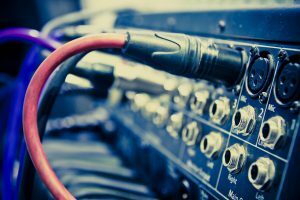 Sound-wise it’s in the middle of the pack, if you consider the several options you can make including its effects. The amp also allows you to mimic the sounds of some of the popular songs especially in the rock and pop genre. Who Should Buy the Marshall MG101CFX? If you are a newbie guitar player and you want to level up your skills by imitating some of the current leading artist, then this amp is a great starter kit. You can carry it almost everywhere, and is lighter than other amps in the 100-watt category. 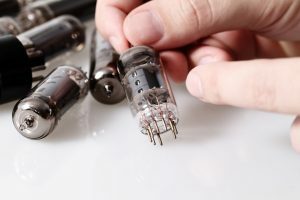 Musicians who are on a tight budget will also find this instrument to be up to the task of replacing their old or broken amplifiers. The MG101CFX’s sound quality is rich and subtle for its class. Moreover, it has a few extra features like multiple effects and the availability of two-button foot switch that eases up transitions. If you are in a band group with your friends, but are not professionally playing and just likes to jam- this amp is a perfect addition to the group. Because it is relatively affordable, the group can just chip in and buy this item at their local music store. This amp is also a great Christmas present for your musically-inclined loved ones. It’s durable and relatively reliable; which means they can use it for a long time with very minimal maintenance. Marshall has created an amp that appeals to those who have started playing their guitar and those who have gotten a few gigs in small venues. The Marshall MG101CFX is a beginner-friendly amp pegged at an affordable price. 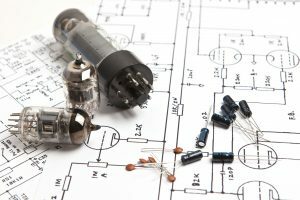 The amp is one of the most affordable amps out there and you are actually getting more considering that it has an analog tone. While you may find some technical issues, like the sound quality of the OD1 and OD2 channels, this is still a solid amp that you can bring with you almost anywhere. Whether you are playing on your room or were invited for a small gig, you can rely on this amp. If you really are serious about getting better at your guitar skills, the Marshall MG101CFX is a great tool that can help you get there. We guarantee that you will find this amp more than ample for your $500 budget. 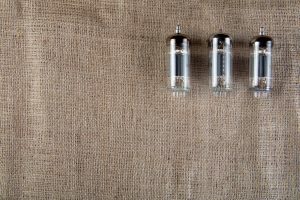 3 Top Acoustic Guitar Amps Reviewed Best 10 Watt Amp Best Balanced Headphone Amps The Best Tube Amp for Acoustic Guitar: Marshall Acoustic Soloist AS50D Reviewed!